If I could, I'd have one of these on every floor of my house, one in my everyday bag, two for the garage, and one in the glove compartment. So useful, and compact. A locking pliers is like a second set of hands. Or prehensile feet, I guess. Two utility knives + 50 blades for $14.88 = a seriously awesome deal. Pictured below. Extra storage is always appreciated. This is one of those things you don't think you need until you have one, and then you wonder how you went without. No one wants to look for adapter and an appropriate socket every time you need to tighten a hex head bolt or nut. Grab a set of these, and be ready to go when you need it. Get furniture-quality cuts from a contractor grade circular saw by opting for the right blade for the job. Who likes raking leaves? Absolutely no one. This straightforward tool makes the job go quicker, and its a whole lot more enjoyable to use. Pictured above. Surprisingly useful in spaces larger than a standard 12' tape. Once you have one, you'll find plenty of uses for it. 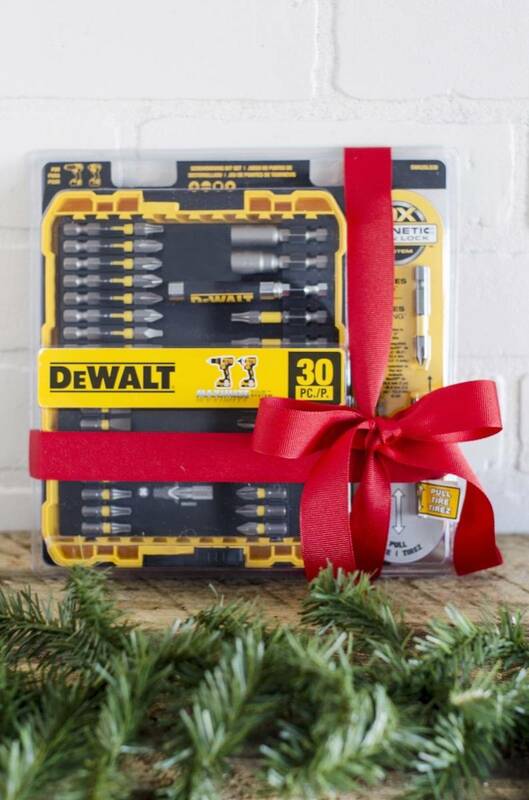 Often, the greatest gift you can give a DIYer is saving them a trip to the store. This oscillating tool combo kit means you'll have the right blade when you need it at 10:30 PM on Saturday night. This is the best clamp money can buy. Any woodworker on your list will be happy to get two of these for every holiday season to come. Preserve the bounty of the garden and make your own trail food. So! Much! Potential! The best jigsaw known to humanity. Yes, it's pricey. Yes, it's worth it. Make rock solid joinery in no time with the flagship pocket hole tool. Once you have one, you'll find dozens of opportunities to use it. One tool and two bases makes this one of the most versatile tools in the shop. Every DIYer wants one of these, but many might find it hard to spend the money on themselves. Give them a true gift they'll use for a lifetime. Save money and quit wasting food by vacuum packing your own meat, game, and leftovers. Pictured above. All the Dremel anyone could ever want (and if bought individually, would be about $330!). Share this gift guide on Pinterest!